Antimatter is made up of elementary particles that have the same masses as their corresponding matter counterparts but the opposite charges and magnetic properties. 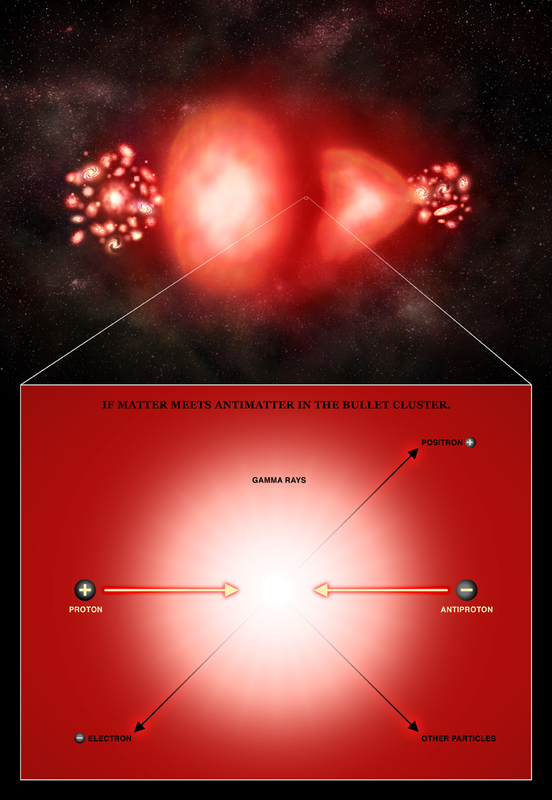 This illustration shows what happens when a particle of antimatter collides with one of matter. The particles annihilate each other and produce energy according to Einstein's famous equation, E=mc2, mostly in the form of gamma rays, which scientists are looking for using the Compton observatory. Secondary particles are also produced. This annihilation has not been seen in the Bullet Cluster. This view of the Bullet Cluster, located about 3.8 billion light years from Earth, shows data from NASA's Chandra X-ray Observatory. 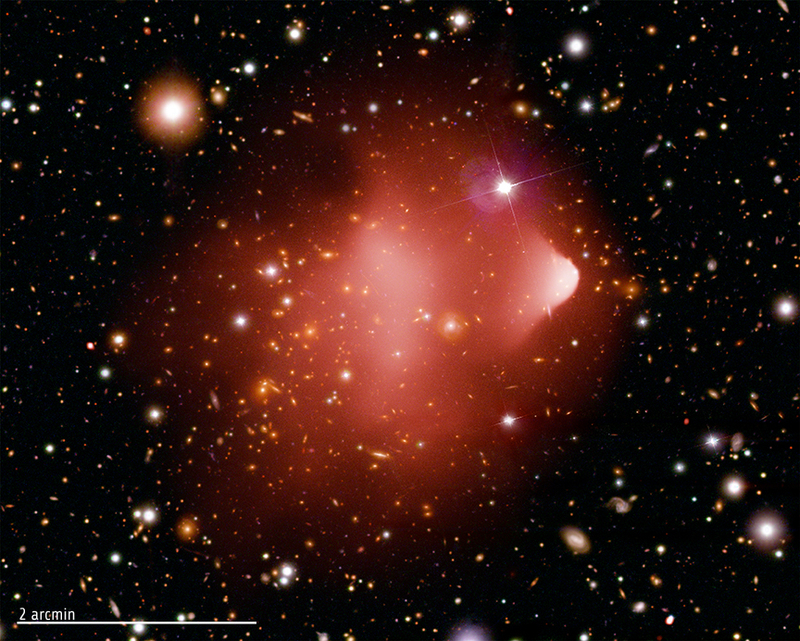 This cluster, officially known as 1E 0657-56, was formed after the violent collision of two large clusters of galaxies. 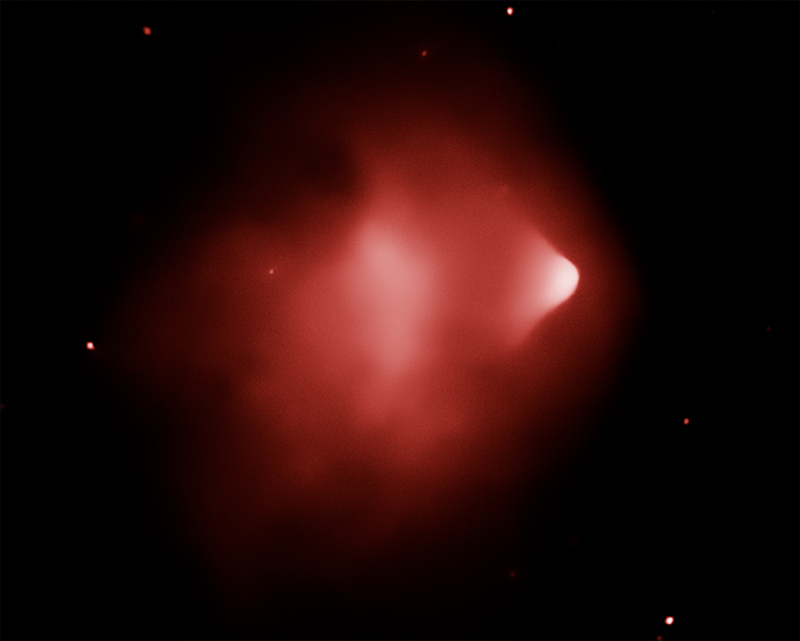 Scientists have examined this system with Chandra and Compton to look for evidence of antimatter in the cluster's hot gas. 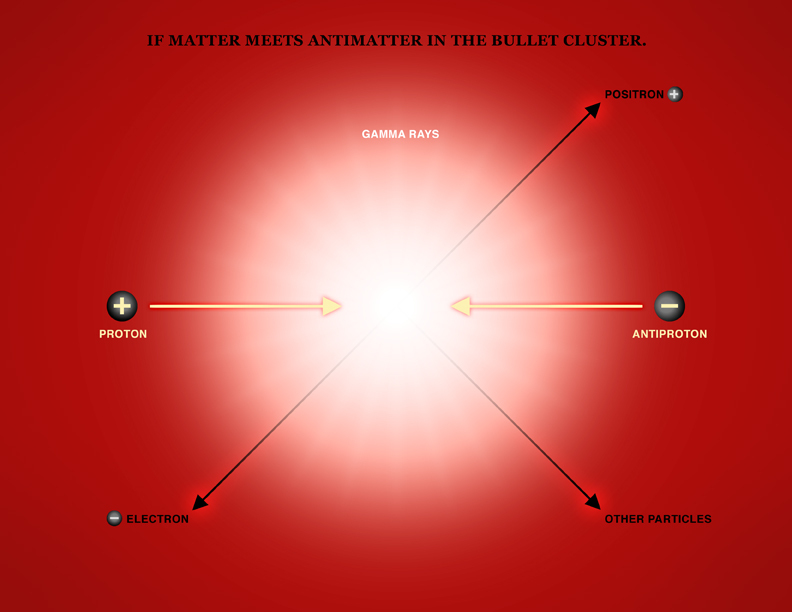 The results did not reveal the signature for the collision of matter and antimatter, meaning that there is little or no antimatter in the Bullet Cluster, at most 3 parts per million. 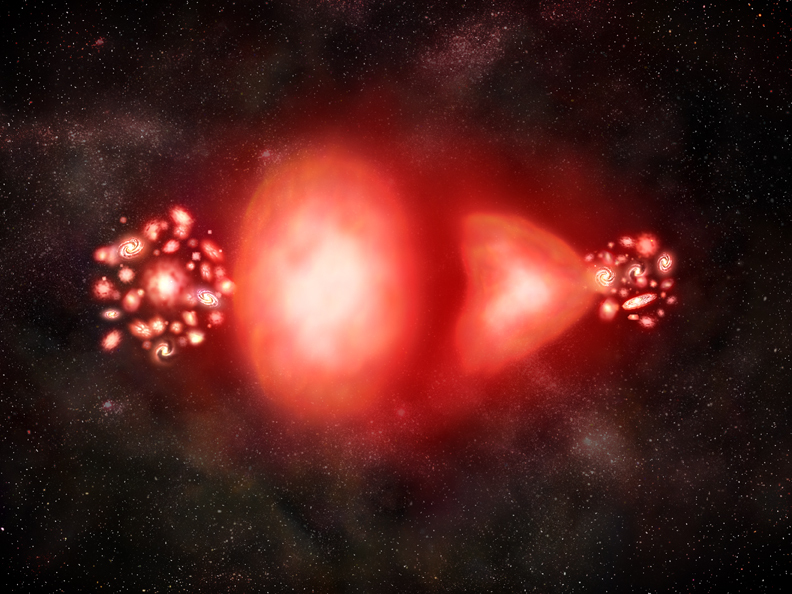 The X-ray emission shows the amount of hot gas in this system. This view of the Bullet Cluster shows optical data from the Hubble Space Telescope and the Magellan telescope in Chile. 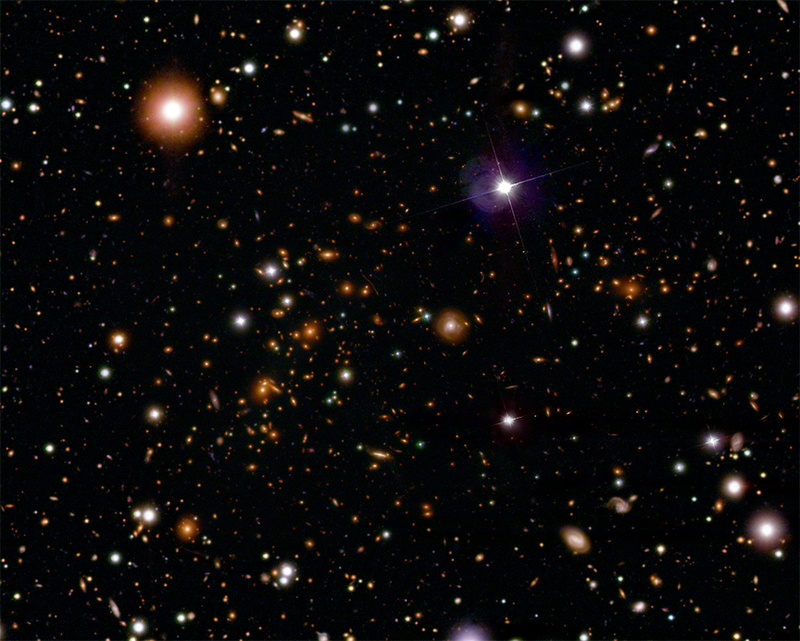 The optical image shows the galaxies in the Bullet Cluster.